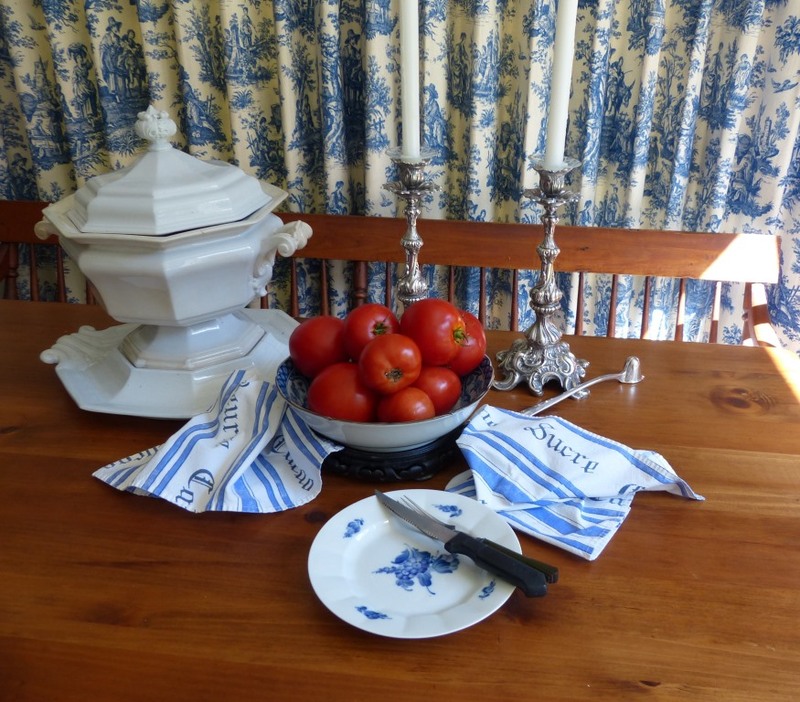 Below are the larger and redder than life ripe tomatoes surrounded by favorite blue and white decor on the kitchen table. Hail to Francophiles, blog followers and foodies extraordinaire! Once again it is time to celebrate the joy of preparing a eating a tasty, fresh, locally sourced main dish. I hope you will try it! The tomatoes are grown here in Watertown; the chives and basil are from our garden, and the lemon is freshly squeezed on the premises. The cheddar went through my Cuisinart. Even though we live in an almost 200 year old farm house where at least 3 generations of one family were dairy farmers on 60 acres, I did not make the cheese! We invited five dear friends for lunch “en plain air” today and enjoyed this late summer dish on the porch. I served it with apple sauce from our tree and finished with and elegant carrot cake skillfully prepared by a friend, “Amanda Bakes”. The weather did not disappoint! It was nearly 70 degrees on October 8th! 2 pounds fresh tomatoes peeled and sliced thinly. Chopped basil land chives to taste – use generous amount. N.B. If you want to serve it later: after baking, cool, and then store in fridge overnight. 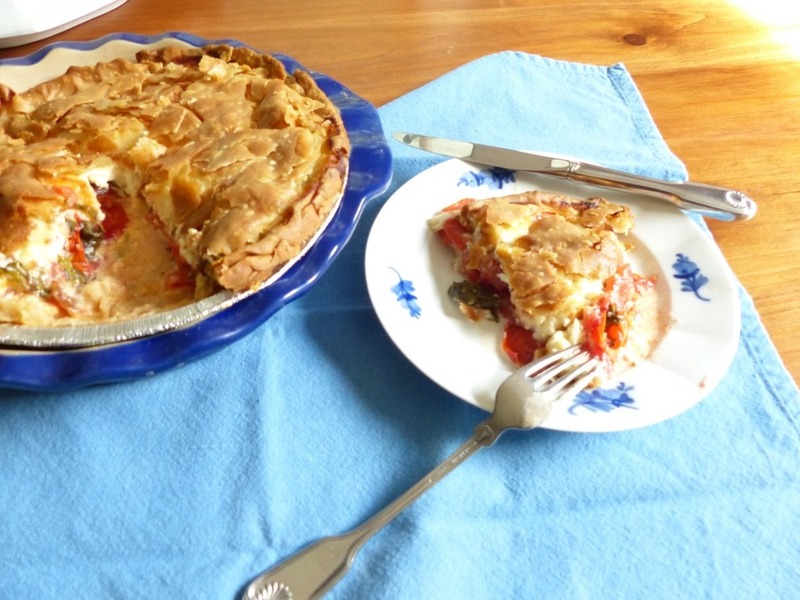 The pie can be warmed up the next day just before serving to melt the cheese. Voila the finished product just out of the oven! The cheese was hot and melty and the herbs fragrant! Enjoy!